MSC Cruises has unveiled the name for the first Seaside EVO class cruise ship as MSC Seashore. The cruise line also celebrated the first piece of steel being cut at the shipyard. 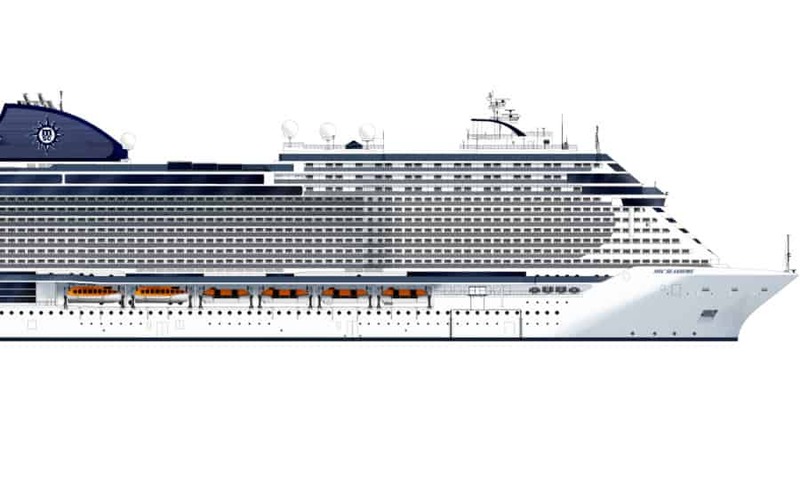 MSC Cruises has revealed the name for the first Seaside EVO-class cruise ship as MSC Seashore. 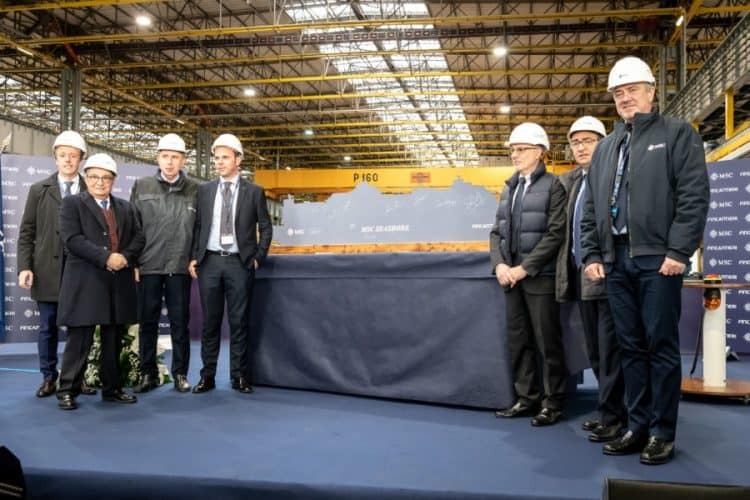 The announcement was made at the ceremony held at Fincantieri’s shipyard in Monfalcone, Italy which is where she’s being constructed. At the same event, the cruise line and shipyard celebrated the first piece of steel being cut for MSC Seashore. This marks the start of the physical construction of all the blocks which makes the ship complete. Length/beam/height: 1,112 ft./135 ft./243 ft.
New cutting-edge features include an additional lounge at the aft of the ship; a further enhanced MSC Yacht Club covering three forward decks; specialty restaurants at the promenade level on deck 8 for dining al fresco close to the sea; more whirlpools across the ship; 200 additional staterooms; and even more generous public spaces. Seaside EVO ships will also be equipped with the latest advanced environmental technology, including a selective catalytic reduction system; exhaust gas cleaning technology; state-of-the-art waste management and recycling systems; advanced water treatment systems; and an advanced energy and heat recovery system, as well as other technology and measures to further increase energy efficiency. MSC Cruises’ Seaside EVO ships will have greater dimensions, even more generous public spaces, more staterooms, a larger MSC Yacht Club, and will be able to host a total of up to 5,632 guests (approx. 4,540 double occupancy).